Are the answers you need to resolve a crime or civil case buried in a cell phone or computer? Digital Forensics Corp. in New York can find those clues for you. New York has made significant strides in combatting crime in recent years. As one of the world’s major commercial and financial centers, however, the city is a rich environment for hackers and other digital criminals. Our computer forensic specialists retrieve digital evidence from cell phones, tablets and computers. They unlock hidden or deleted data that can help resolve a wide range of criminal and civil cases. Criminals leave behind digital fingerprints, and our team knows how to find them. We provide a full range of services for businesses, attorneys, private investigators, organizations and individuals who need answers. With more than 10 years of experience in digital investigations, we've handled a huge variety of cases. We gather the digital evidence and report it in a detailed document, admissible in court. We also provide expert witness testimony and consultations. All that data creates a digital fingerprint that our expert computer forensics analysts can use to determine a detailed timeline of a person’s conversations, travels and online activities. Our certified investigators can recover data even when a device is non-functional or damaged. They can extract the data even if someone thinks it is hidden or deleted. They can recover data from SSD drives, hard drives, USB flash drives, RAID arrays, cell phones and more. Once our examiners have collected and analyzed all that evidence, they document it in a clear, detailed report. 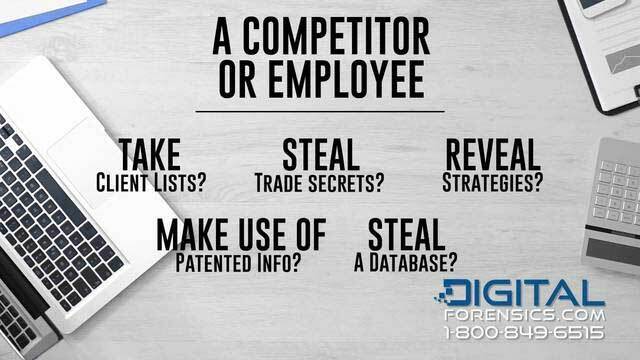 Why Should You Choose Digital Forensics Corp? 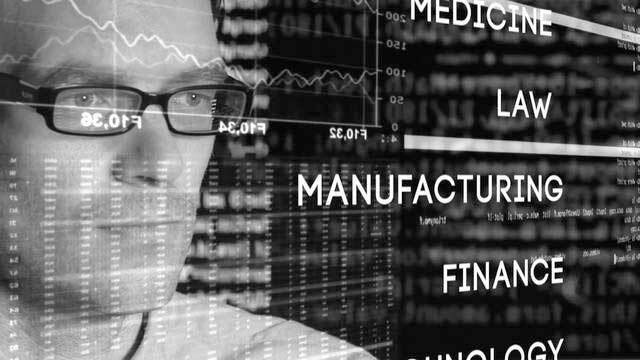 Our expert team includes forensic computer specialists, former law enforcement officials, data analysts, certified fraud examiners, attorneys and network security experts. That diverse range of expertise allows us to provide high-quality digital forensics services to a wide range of customers. 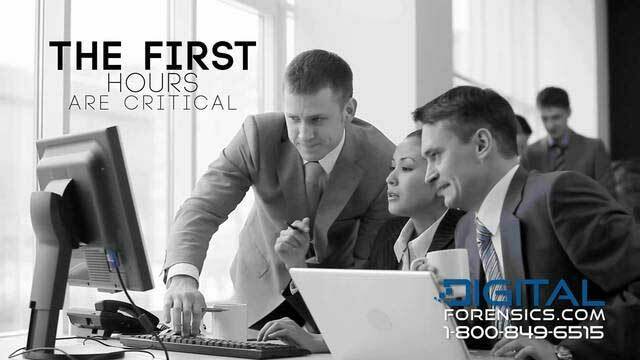 Digital Forensics Corp. has a proven track record in fighting digital theft, criminal cases and data breach incidents. Our clients range from individuals with civil matters to Fortune 500 companies. We take client privacy very seriously. We enter into a Non-Disclosure Agreement with every customer and everyone we deal with, contractually obligating us to secure and protect your private information. Our Type 2 SOC 2 certification is awarded only to companies with proven systems in place to secure sensitive information. All of our servers are fully encrypted and secured. If the clues you need are buried in a cell phone or computer, call our New York site, 245 Park Ave., 39th Floor, at (347) 741-7841. You can talk to one of our dedicated representatives 24/7/365.